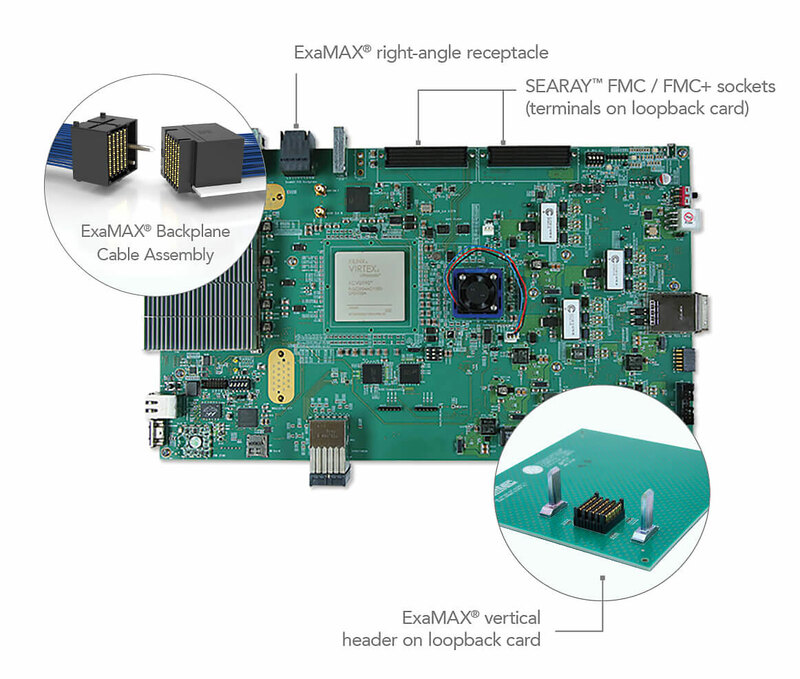 Samtec helps address the challenges of next generation data rate requirements with industry-leading interconnect expertise, along with full system optimization support, including a vast library of development platforms and evaluation kits for high-performance interconnect systems. 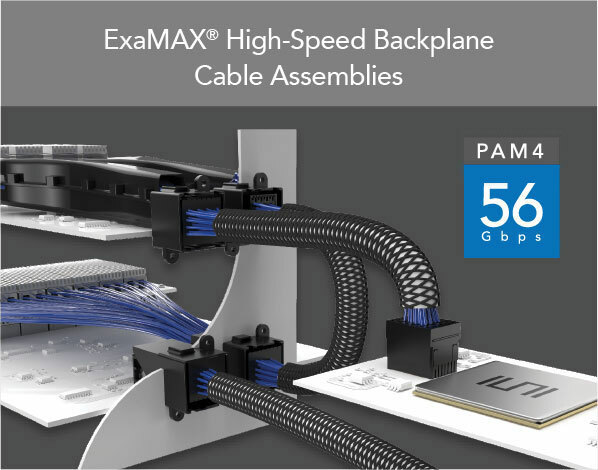 Our high-performance ExaMAX® Backplane Systems are engineered to achieve up to 56 Gbps performance and include connectors and cable assemblies that provide the option to optimize density or minimize board layer count. 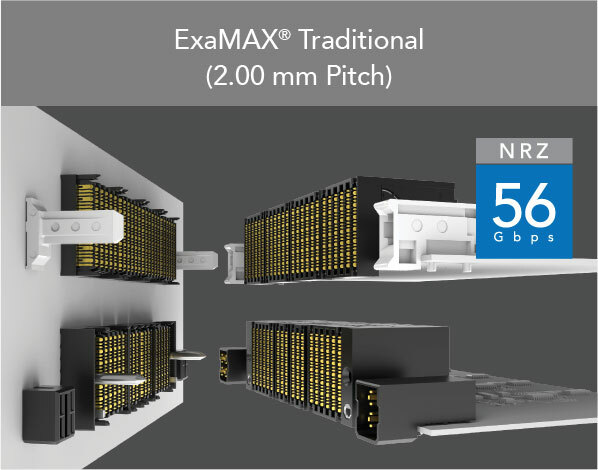 Enabling 56 Gbps electrical performance, ExaMAX® Vertical Headers & Right-Angle Receptacles meet industry specifications including PCI Express® and Ethernet, and feature a reliable two-point contact system on 2.00 mm pitch. Guide / power modules also available. 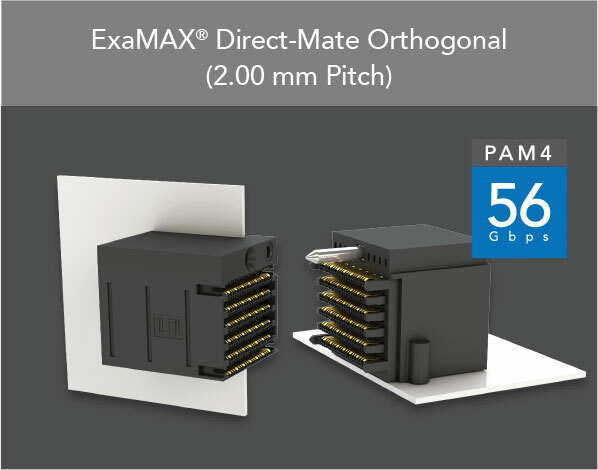 ExaMAX® Direct-Mate Orthogonal Headers and Right-Angle Receptacles on 2.00 mm pitch eliminate the need for a backplane / midplane, decreasing the number of connectors needed, while improving airflow and shortening the signal path for enhanced signal integrity. 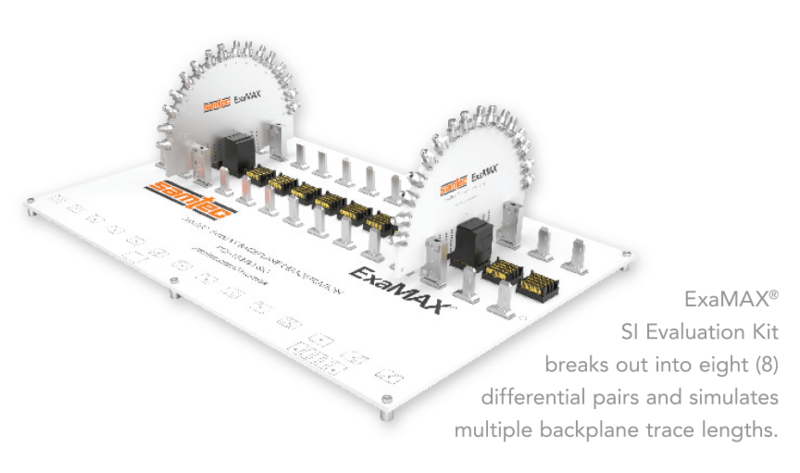 The ExaMAX® High-Speed Backplane Cable System leverages Samtec’s Eye Speed® Ultra Low Skew Twinax Cable technology for improved signal integrity, increased flexibility and routability. The system is highly customizable and helps reduce cost with lower layer counts.